What could be better than working with colorful wools, socializing with like-minded needle workers and creating colorful projects? The Addicted to Wool club offers members the opportunity to socialize while learning from each other and broadening their experience in working with wool. You may bring current projects or purchase materials to begin a new project from the shop. Some stitching experience is helpful, especially knowledge of the button hole and whip stitches. 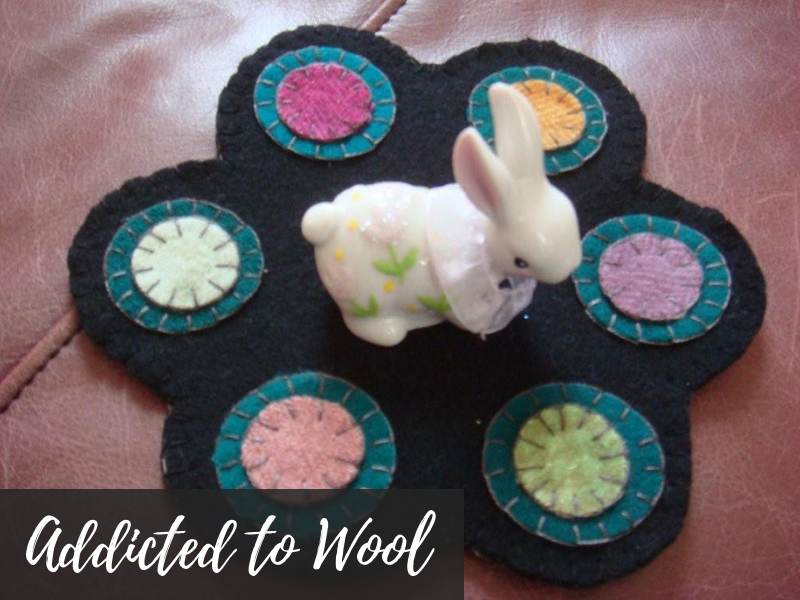 Addicted to Wool meets on the third Tuesday and Saturday of the month from 1pm to 3pm. Come to either or both meetings as you can - there is no class fee but registration is required! Register using the signup form on this page or call the shop at 517-438-8459.